We’ve tried our best to answer all your questions below. * How do you quote? ​We provide free quotes & if required we will arrange with you a suitable time to visit the property. Sometimes we can provide an estimate for gutter cleaning based on satellite images from Google Maps. 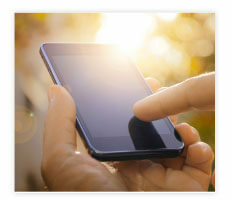 A written quote is sent to your chosen email account with the details for your reference and records. We can also quote and carry out the work on the same day after your consent & provided there’s enough time. * Do I have to be home when you clean the gutters? If you’re happy for us to access the property then the gutters can be cleaned without any inconvenience to you. Yes, we’re insured up to 5 storeys in height and up to $5,000,000 in public liability. * Do you use any chemicals? 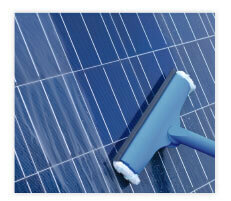 We are environmentally friendly and do not use any harsh chemicals at all. * What payment types do you accept? ​We accept Cash, Cheque, Bank Transfer and Credit Card. A small transaction fee of 2.5% applies to Credit Card payments and we use PayPal for processing credit card payments. * What happens if it rains? ​If it is light rain we can carry out the work or continue working if we’ve already started, however if the situation is too dangerous – ie on a slippery roof – then we will have to postpone the work for another suitable time. * How often do I need the gutters cleaned? 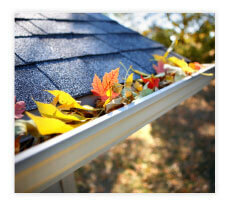 We recommend every 6 to 12 months having the roof and gutters inspected and cleaned. * What about “gutter guard”? The gutters will still need to be cleaned regularly – this is because the leaves up on the roof will start to decompose and filter down UNDER the gutter guard causing blocked gutters after time. When this occurs the gutter guard then has to be removed to clean the gutters. Depending on the type of gutter guard installed this process can take considerably longer than a standard gutter clean without gutter guard. Regularly cleaning the leaves off the roof and top of the gutter guard can prevent this from happening. 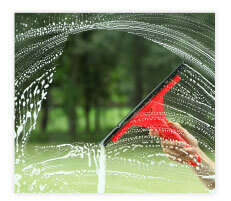 * How often do I need a window clean? ​Some of our customers have their windows cleaned on a monthly basis, while others may have them cleaned every 6 weeks, 6 months, yearly or just a one off clean for a special occasion. * What safety precautions do you take? Our extension ladders are fitted with stabilisers to help with keeping the ladder level on sloping and uneven ground, while the top of the ladder has rubber caps to prevent damaging the exterior surface of the house and to stop the ladder from slipping. Depending on the pitch, condition and type of roof, we will survey the safest way to access the roof and work from the roof. We have the appropriate harness equipment if needed to stay safe up on the roof while cleaning the gutters, windows or solar panels.